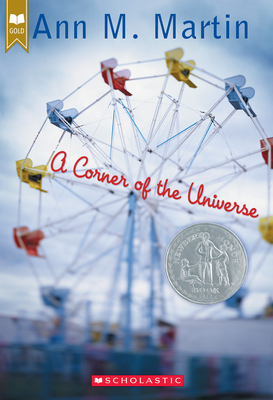 Ann Martin's phenomenal Newbery Honor book, now in paperback. The summer Hattie turns 12, her predictable small-town life is turned on end when her uncle Adam returns home for the first time in over 10 years. Hattie has never met him, never known about him. He's been institutionalized; his condition involves schizophrenia and autism. Hattie, a shy girl who prefers the company of adults, takes immediately to her excitable uncle, even when the rest of the family -- her parents and grandparents -- have trouble dealing with his intense way of seeing the world. And Adam, too, sees that Hattie is special, that her quiet, shy ways are not a disability,. Ann M. Martin is the creator of The Baby-sitters Club, which has more than 176 million books in print, making it one of the most popular series in the history of publishing. Her novels include A Corner of the Universe (a Newbery Honor Book), Belle Teal, Here Today, A Dog's Life, On Christmas Eve, and the Main Street and Family Tree series, as well as the much-loved collaborations P.S. Longer Letter Later and Snail Mail No More, with Paula Danziger. Ann lives in upstate New York.